A cup of refreshing Sugar Cane Herbal Tea, anyone?? The change of weather have cause many people are down with flu, fever and sore-throat. 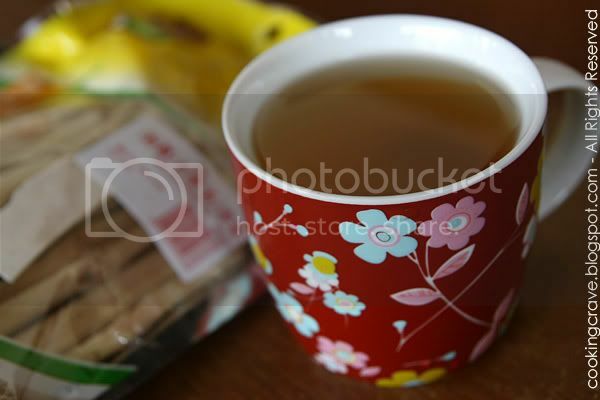 Herbal tea-(凉茶) are one of the traditionally drink that use to get rid our body inner heat. But, my kids won't take some of the herbal tea which have very strong herbal smell and taste bitter. I came across this "Sugar Cane Herbal Tea" when I shop for grocery at TESCO Shopping Mall. I buy 2 packets and try it. Surprisingly, all my kids love it. It taste just like sugarcane drinks. 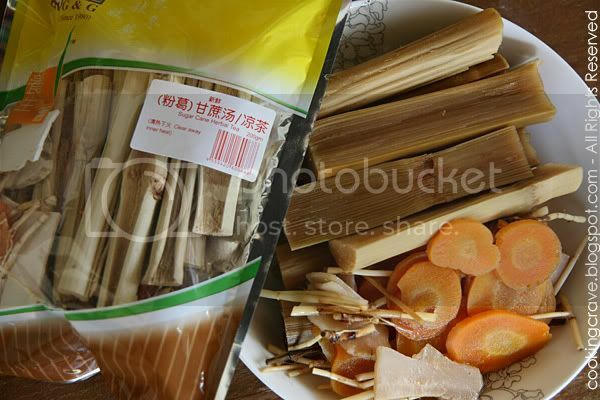 I don't know what ingredients are used as it is not stated on the packing, I can see it's the dried sugarcane in it, something look like carrot- i think so, and some chinese herbs in it. Aren't the orange coloured one look like CARROT?? Wash the herbal mix with water. 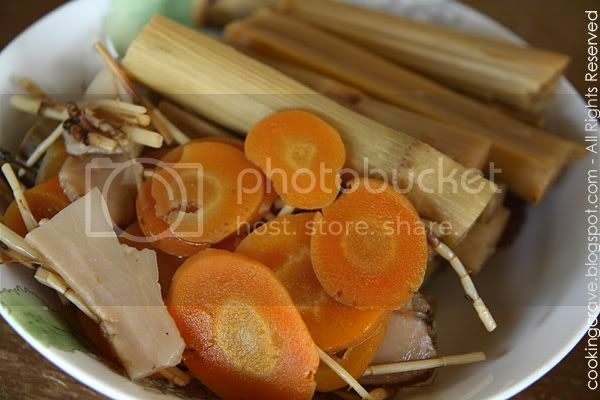 Place the ingredients in Slow Cooker and cook it in low heat over night. 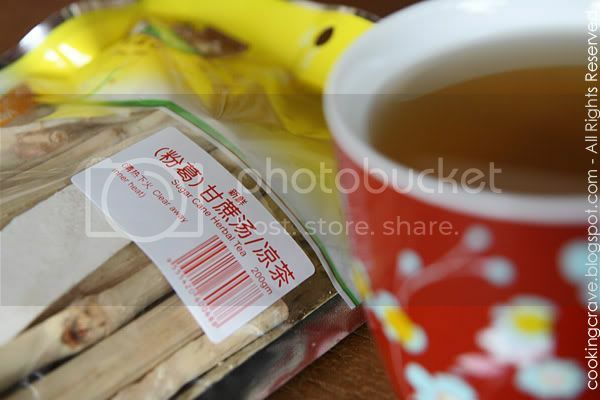 wow.. its good to boil teas like these.. but i haven't seen these in Sg.. so i normally buy those herbal leaves also prepacked like cooling tea..
but i think something similar is like boiling those cane with water chestnut too.. i remember.. the 'tek' chia, not the 'kam' chia. yes... the orangy thing is definitely carrot !